David Patchell-Evans turned 60 last October and, to be honest, he looks it. 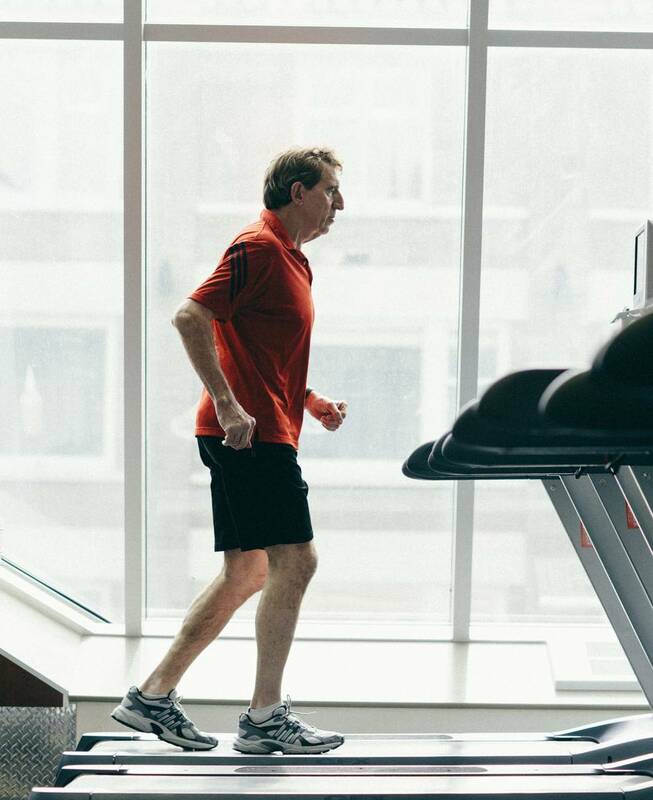 In many ways, the founder, CEO and still sole owner of the GoodLife Fitness chain is a Canadian boomer icon: shaggy-haired and lean under a rumpled dark suit and open-necked blue shirt. But “Patch” (as he asks everyone to call him) is also showing some Jaggeresque facial lines. And he’s nearing the age when founders of other Canadian business juggernauts, such as Ron Joyce of Tim Hortons and Larry Rossy of Dollarama, cashed out equity and became billionaires. Yet as Patchell-Evans folds his six-foot-five frame into a chair in a closet-size office overlooking GoodLife’s 39,000-square-foot main downtown Toronto gym, he’s talking like an entrepreneur much closer to the start of his career than the end of it. “I have no intention of selling out. Why? I can’t think of anything I’d rather do than this,” he says. “Sixty, if you’re fit, is the new 25.” So no need to step away to make room for successors, apparently. Call it drive, missionary zeal or hubris, but Patchell-Evans’s style is the foundation of GoodLife’s marketing and just about everything else the company does. Walk into any of the chain’s more than 320 clubs across the country, and you’ll likely see stacks of free copies of Patchell-Evans’s first book (Living the Good Life—“over 1,415,000 in print”) behind the counter and a big poster of personal and corporate milestones on the wall. The business that Patchell-Evans founded 35 years ago is now by far the biggest fitness outfit in the country, and the fourth-largest in the world. More than 932,000 people are GoodLife members—one in every 37 Canadians, as the company is fond of pointing out. It has almost 13,000 full-time and part-time employees. It’s when you drill down into those numbers a bit that the tensions beneath the success story emerge. Customer churn in the fitness industry is 40% to 45% a year, which means the company has to be aggressive about luring people in and making sales. And about that strikingly high employee head count: More than 90% of GoodLife’s group-exercise instructors work only two to five hours a week. That creates conditions for a skewed balance of power between management and workforce. Competitors and ex-employees say that Patchell-Evans’s biggest passion is for trying to control the industry. He and a handful of veteran top GoodLife executives aren’t satisfied with just being No. 1, even though they’ve swallowed almost all their large competitors or helped drive them out of business. They’re still relentless in pursuing efficiency, and keeping a lid on costs and wages. “They are Walmart,” says Ava Wappel, a veteran Toronto trainer and instructor who in February was fired from teaching group-exercise classes at GoodLife part-time because she also taught at another local gym, allegedly in breach of her employment agreement. Back then, in 1979, was the dark ages, before the appearance of even Jane Fonda’s first workout video (1982) and the debut of the 20-Minute Workout (1983). There were hardly any personal trainers and no industry certifications for them. For women, gyms were testosterone-filled no-go zones. Marketing, even for some continent-wide franchised chains such as Vic Tanny, wasn’t just aggressive; it was sleazy. Outlets would sell so-called lifetime memberships for a few hundred or even a few thousand dollars, then go out of business. New owners would take over, refuse to honour old contracts and start selling all over again. Patchell-Evans got into the business by accident. Literally. In 1974, during his second year at Western University in London, Ontario, he had a motorcycle accident that broke his clavicle and ripped apart his upper body. His arduous eight-month rehabilitation, according to Living the Good Life, ignited a lifelong passion for fitness and a desire to share it with all Canadians. While studying business at Western, he started training as a rower. By 1980, he was on Canada’s national team (he racked up five Canadian championships) and receiving a small stipend from Ottawa to train, which he augmented by running a snow-plowing business. He worked out regularly at a gym in a small shopping plaza. It was just 2,000 square feet—about the size of an aerobics studio in a GoodLife these days—and named Nautilus Pro Fitness Centre, after the then leading-edge brand of exercise machines. 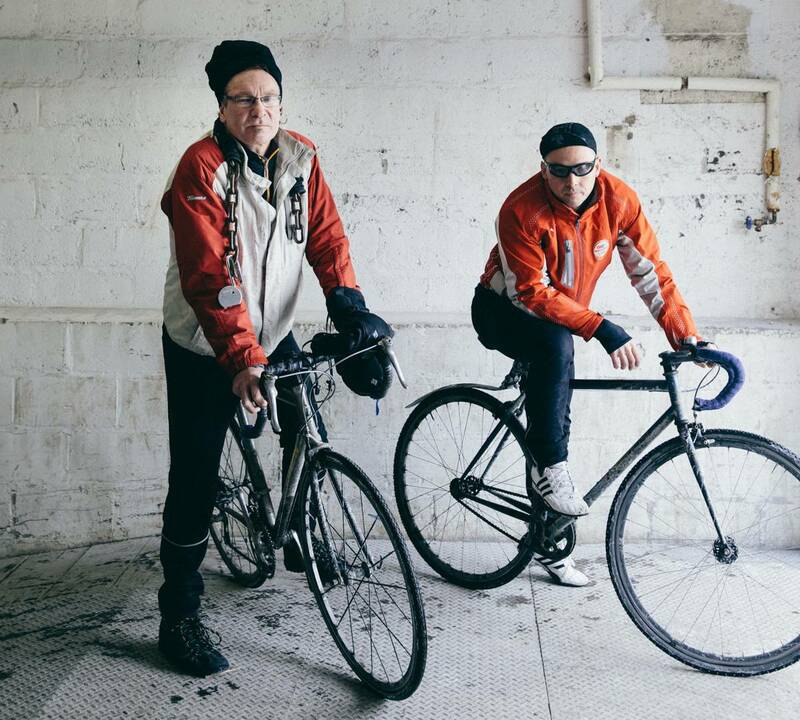 For the first few months, Patchell-Evans did everything himself at Nautilus—helping members train, maintaining the machines, cleaning the washroom. Then, in April, 1980, Canada joined the boycott of the Moscow Olympics, and there was no more rowing practice. By then, Patchell-Evans had a couple of other employees, so he was able to take a two-week road trip through the United States to see how gyms there operated. Patchell-Evans also hired two women—as aerobics instructors—who, with him, soon became the core of the GoodLife executive team. COO Jane Riddell joined in 1982, and vice-president of operations Maureen “Mo” Hagan came on board in 1984. The three leaders had a lot in common. They came from modest backgrounds, were athletic—and enjoyed the work, obsessively. “It was like going to a party every day,” recalls Riddell, 59, who had been a varsity basketball and soccer player at Western. “I never thought it would be a career.” Hagan, now 52, had a full-time job as a physiotherapist, but taught classes for Patchell-Evans free for the first few months because she enjoyed them so much. All three say that two guiding principles were clear from the beginning. One is that GoodLife’s overriding goal is to get people in shape, not to soak them for cash up front. The second is that the company and the industry needed standards and systems. Indeed, the only time Patchell-Evans bristles during a two-hour interview is at the suggestion that a gym’s sweet spot is customers who buy memberships, pay their monthly dues and then rarely go to the gym. Churning-and-burning customers didn’t work in the 1970s and 1980s, and it tainted the industry. That’s why, Patchell-Evans says, he supported provincial laws that put a one-year limit on member contracts. To get noticeable results, most people need to attend classes or work with a personal trainer for months, not just a few sessions. Individual personal training ranges from $50 to $90 an hour, depending on the experience of the trainer (and, notably, trainers are also salespeople). If you get results, you’ll keep renewing and buying more sessions, and GoodLife will get the most effective advertising there is: word of mouth. By the early 1990s, GoodLife had expanded to almost 20 clubs, mostly in Southern Ontario, and the triumvirate of Patchell-Evans, Riddell and Hagan was laying the foundation for a much larger and more systematic company. In 1991, Patchell-Evans asked Hagan, who at that point was still only a part-timer, to develop a standardized certification for instructors. On a three-month trip to New Zealand, she saw a piece of the industry’s future: Les Mills classes. Les Mills is basically the Coca-Cola or Big Mac of exercise classes, a uniform global product whose programs have names such as BodyPump, BodyCombat and BodyFlow. The moves and music are the same in Auckland as they are in New York. The company was founded in 1968 by Les Mills, a four-time Olympian, and expanded in the 1980s by his son, Phillip. Instructors must learn classes, which are updated every few months, by rote. Les Mills is now offered in more than 80 countries; GoodLife is the exclusive source of the program in Canada. The company is not resting on its laurels with that offering. In March, GoodLife flew Los Angeles training guru and TV reality-show star Jillian Michaels to six cities to promote the BodyShred workout, for which it bought Canadian rights last year. Crucial though Les Mills has been, an even more important lock on the market was snapped shut thanks to Patchell-Evans’s observation that there was no government or industry certification for trainers and instructors. 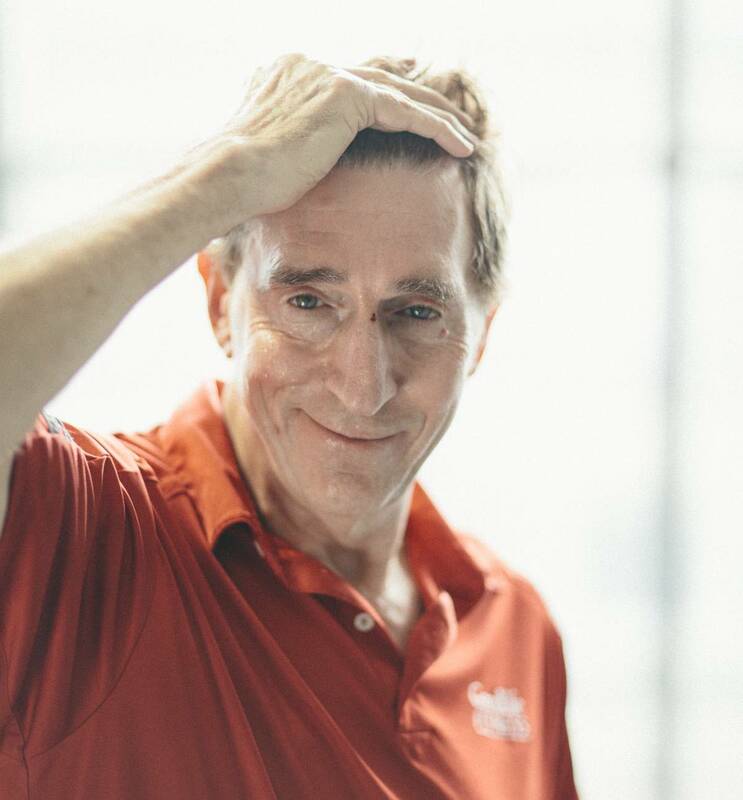 In 1993, Patchell-Evans established Canadian Fitness Professionals, branded as Canfitpro, and hired Hagan full-time to help develop and run it. Canfitpro is now the most widespread Canadian certification program, and Patchell-Evans still owns it. To him, Riddell and Hagan, it’s a way to maintain professionalism and consistency. To his critics, it’s yet another sign that Patchell-Evans is becoming a monopolist. But one could say he’s egalitarian: He charges even his own trainers and instructors for courses, often at several hundred dollars a pop. And everyone pays a $69 annual fee to maintain their designation. As you look at GoodLife’s poster of milestones, the two decades since 1993 look like an easy, uninterrupted expansion. The company hit 100 clubs in 2005 and 275 in 2009. Patchell-Evans and the company racked up a host of awards, including Entrepreneur of the Year and Most Innovative CEO of the Year, as well as recognition as one of Canada’s 10 Most Admired Corporate Cultures and one of Canada’s 50 Best Managed Companies. Patchell-Evans declines to disclose financial details about GoodLife, saying only that revenue is more than $500 million a year, and it’s growing by more than 20% annually. One hard figure is $255 million: the total of the four debt issues that GoodLife has arranged over the past decade with Penfund, a Toronto-based private-equity firm that specializes in lending to mid-size companies. Much of GoodLife’s growth has come from buying faltering rivals. In the 1980s and 1990s, many of those were independent gyms. With the money borrowed from Penfund, GoodLife has stepped up the pace and bought entire chains or large portions of them, including 10 Toronto-area clubs owned by Sports Clubs of Canada and Bally Total Fitness in 2007, the 23-gym Nubody’s chain in Atlantic Canada in 2009 and Extreme Fitness, with 13 outlets in Toronto, last year. GoodLife also merged with Energie Cardio, a 65-club chain in Quebec, in 2009. In some cities, GoodLife seems as ubiquitous as Tim Hortons. Walk south from Toronto’s Eaton Centre, and you’ll pass five GoodLifes in five blocks. The closest chain in terms of number of outlets is a very different creature: the YMCA, which has 86 Canadian branches. But Patchell-Evans and Riddell shrug off suggestions that GoodLife is a behemoth. Counting independent gyms and outfits such as yoga and spin studios, there are more than 6,000 fitness clubs in Canada. “We are so far from being a monopoly,” says Riddell. What about the actual product? Why is it so popular? And how is it that a homegrown company, rather than a U.S. giant, has come to dominate the Canadian fitness business? GoodLife is almost glitz-free. Apart from the promotion of Jillian Michaels, the only celebrities you see pictured on its walls are Patchell-Evans and Hagan themselves, and maybe a poster of Olympian rower Silken Laumann—who is Patchell-Evans’s wife—and the GoodLife Kids Foundation, a fitness initiative. As his reliance on Riddell and Hagan suggests, Patchell-Evans is sensitive to women’s perspective on fitness. He concluded early on that there are a lot of women who want to exercise, rather than be propositioned, when they go to the gym. The first GoodLife for Women club was opened in Peterborough in 1983. There are now about 125 locations that either are GoodLife for Women or have a separate women’s area. Even in GoodLife’s co-ed clubs, there are hardly any places to mingle—no lounge areas or juice bars. “Extreme had that crap,” says Penfund’s Bradlow. GoodLife scaled it back. As GoodLife has taken over outlets from rivals, it has also discovered that many were weaker than expected. In the early years, the ill fit was sometimes comical. In 1993, GoodLife acquired a fitness and squash club at Yonge and Queen streets in Toronto, its first big foray into the city. As Riddell recalls, the club was plush, but it had been more of a men’s social club than a gym. “There were 160 members, two bars and a cigar room,” she says with a laugh. The American-owned competition hasn’t been that intense yet, either. Many of the largest chains, such as 24-Hour Fitness, Gold’s and LA Fitness, aren’t much bigger than GoodLife. LA Fitness is close to GoodLife in ambience, but it has just 13 outlets in Canada, mostly in Toronto-area suburbs. It has stayed out of downtown. More of a threat is Anytime Fitness, a fast-growing franchise chain of discount gyms founded in 2002 in Minneapolis, which now has more than 2,200 clubs worldwide, including 82 in Canada. All told, GoodLife’s most pressing challenges these days seem to be internal, not external. Union drives are a tough slog, especially with a mostly part-time workforce that is spread over many locations. Still, Scott Robinson, a 55-year-old part-time spin instructor for GoodLife in Toronto, has clearly got under management’s skin. The budding unionist was teaching 14 spin classes a week for GoodLife, but he was fired a week before last Christmas after management discovered he was also teaching at a spin studio—an alleged violation of a so-called non-compete clause in his contract. He’s still leading the union drive. Robinson joined GoodLife seven years ago as a result of its takeover of Bally and Sports Clubs. Last summer, he approached the Canadian arm of the U.S.-based Workers United union, which has about 10,000 members in Canada. Robinson cited a litany of complaints that he said are widespread among GoodLife trainers and instructors. Among them: low pay, no workers’ compensation in a physically demanding job, and nickel-and-diming of staff. Robinson had already had several run-ins with GoodLife’s management. In the summer of 2011, he filed a complaint with the Ontario Labour Relations Board over what many current and former GoodLife staff call the “45-minute hour.” He was supposed to be paid $50 for classes booked in one-hour time slots, but GoodLife began paying only for the portion of the hour that he and other instructors actually led classes. Robinson won his complaint, and back pay, in January, 2012. GoodLife then changed the terms of its contracts to only pay for the actual minutes of teaching. Hagan, who is in charge of group-exercise classes, says GoodLife is only trying to be fair to all instructors. “There were some people teaching one-hour-and-15-minute classes who thought they should be getting paid more,” she says. In GoodLife’s early days, when the company only had a few dozen instructors, it could afford to be a bit loose with the clock. Now that it employs more than 3,270 instructors, those minutes add up. He and fellow fired instructor Ava Wappel say GoodLife is actually quite happy to say goodbye to experienced instructors because it seems to have a ready supply of hobbyists who are content to work for $20 a class and a free membership. Hence the figure that more than 90% of GoodLife’s group-exercise instructors work two to five hours a week. It may be cold comfort to fired instructors, but the clause probably wouldn’t stand up in court. Stuart Rudner, a founder and partner of Rudner MacDonald LLP, a Toronto-based employment law firm, says “non-competes are generally unenforceable in Canada.” They’re too broad. But, absent a challenge, they can still work: “The employee may not know that they’re unenforceable,” he says. Rudner understands Riddell’s concern about the poaching of GoodLife members; he says the company could put in place a much narrower, enforceable non-solicit clause that bars an employer’s current or former staff from directly approaching its customers and luring them away to a competitor. The union says many of GoodLife’s full-time trainers are also dissatisfied, particularly those who transferred in after takeovers. One gripe is that GoodLife won’t give them credit for certifications other than Canfitpro. The chain classifies its trainers from Level 1 to Level 6, depending on qualifications and job performance. Experienced trainers from swallowed chains say GoodLife tries to slot them into Level 1 or 2, at a much lower hourly rate than they were getting previously. They then have to pay Patchell-Evans for Canfitpro courses. But the company says that it does recognize some other designations, such as the American Council on Exercise. To advance in levels, it says, trainers have to meet requirements that are consistent across Canada—and Canfitpro is the leading standard. The company says it also allows for a transition period for instructors of acquired chains. Pressure to sell is another sore point. GoodLife offers personal-training starter packages of three to six sessions. But one Toronto trainer, who asked not to be named, said managers don’t want him to sign up clients for anything less than a year of sessions after the initial ones, even though they could offer them, say, three months. Upselling once-a-week clients to two or three sessions is another priority. The trainer says he sees the fitness rationale for that, but even at a low personal training rate of $52 an hour, an extra hour a week works out to $2,700 a year. Hagan, like Patchell-Evans, acknowledges that GoodLife encourages members to buy long-term packages, but the overriding goal is fitness. Some trainers complain about nickel-and-diming on their pay, too. They are paid minimum wage for the hours they are in clubs prospecting for new clients. For training sessions, they split the hourly rate with GoodLife, from about 40-60 to 50-50, and get paid a 10% commission on sales. But the prospecting hours are banked, and the pay for them is deducted from the commission after a sale is made. That said, Patchell-Evans says, “I know a lot of my staff will leave and open their own clubs.” But that, too, is a healthy sign. Only about 20% of Canadians work out regularly. There’s still plenty of room for the industry to grow. His own immediate goals are getting to 500 clubs and having one in 30 Canadians as a GoodLife member.